Sinjimoru Ghost Cable Ties represent a fresh idea for reusable cable ties. 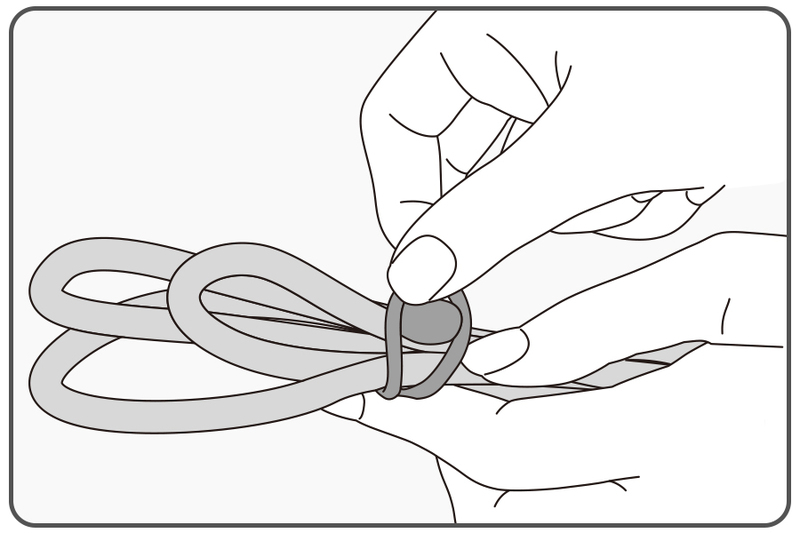 When organizing your cables, you can conveniently leave the tie wrapped around it once and simply wind it a second time to tie the cable slings together. The silicone material is highly stretchable and can be washed easily in case it collects dust. Due to the highly stretchable silicone material, Sinjimoru Ghost Cable Ties are very durable and will not rip apart even when holding thick cables together. 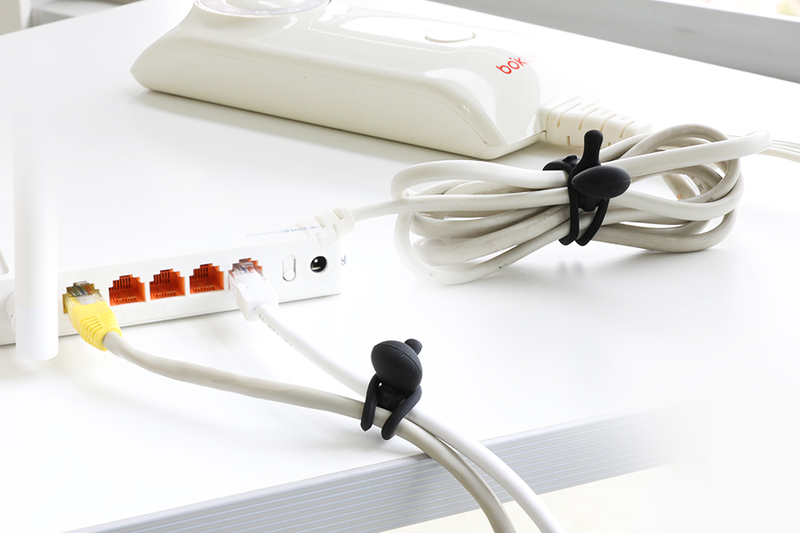 The simple cable management solution will keep your home or office environment neat and tidy at all times. 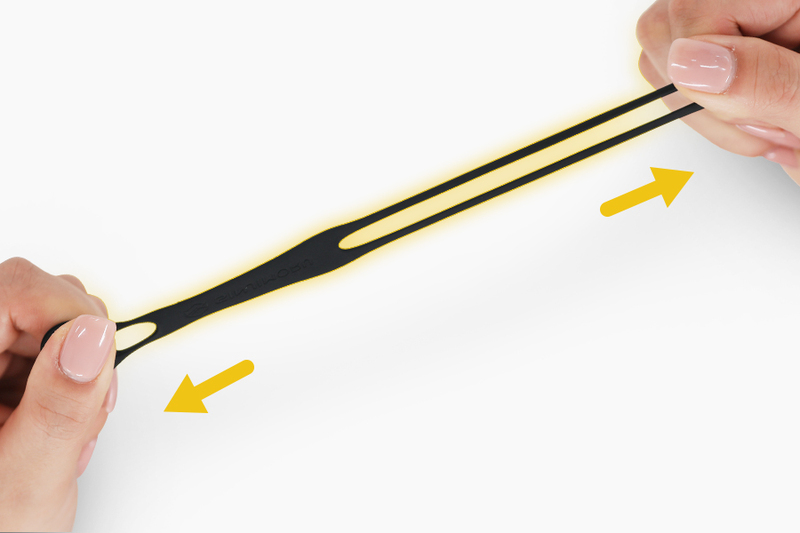 The innovative concept of Sinjimoru Cable Ties makes holding cables together easier as ever before. 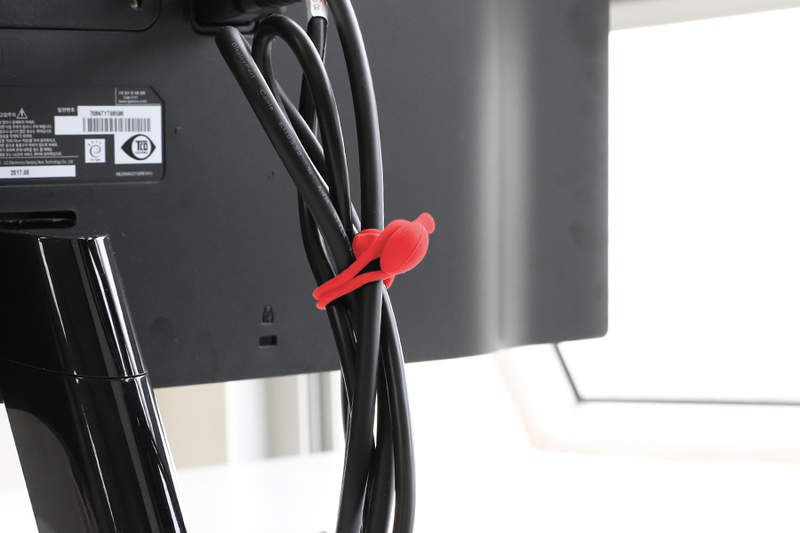 No more struggling with disposable cable ties! Use the cable ties everywhere in your everyday life! Cables of home appliances like your fridge, TV, hair dryer or your internet connection cable can all be organized! 1. Place the cable that you want to organize on the side of the silicone cable tie that shows the logo. 2. 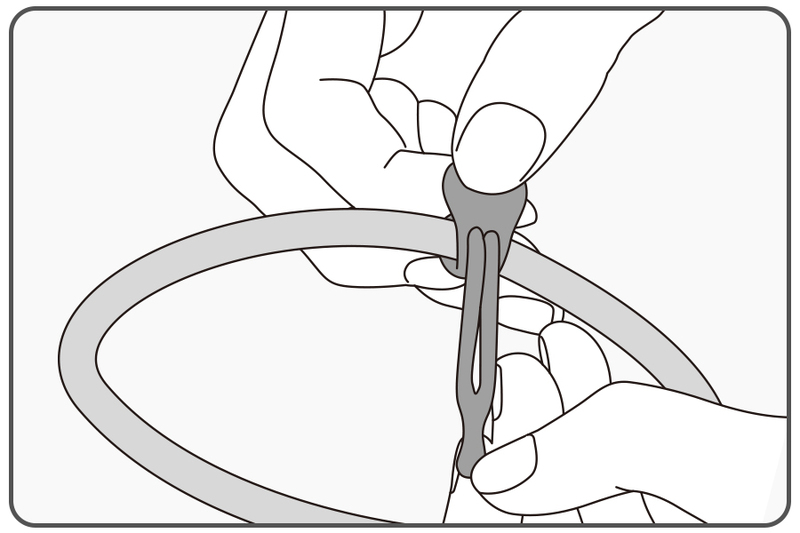 After winding the silicone cable tie around the cable once, pull the thin end through the small hole of the holder. 3. 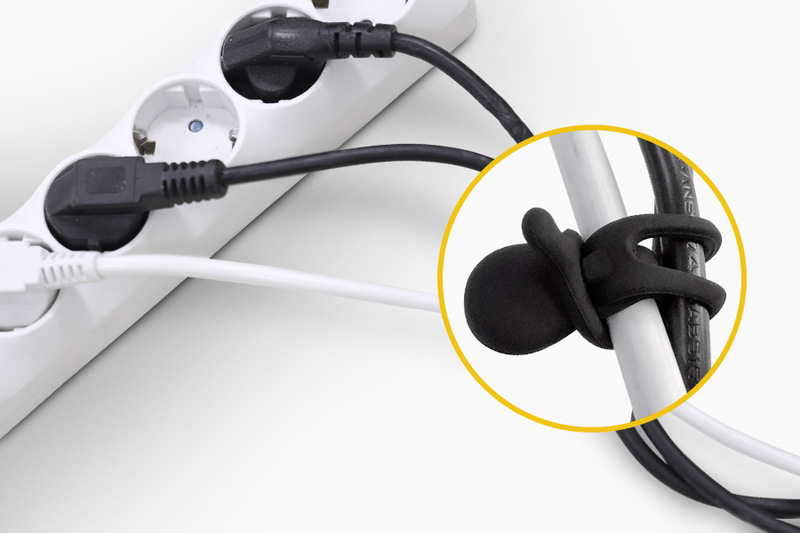 Organize the cable by rolling it up and winding the silicone cable tie around it. 4. 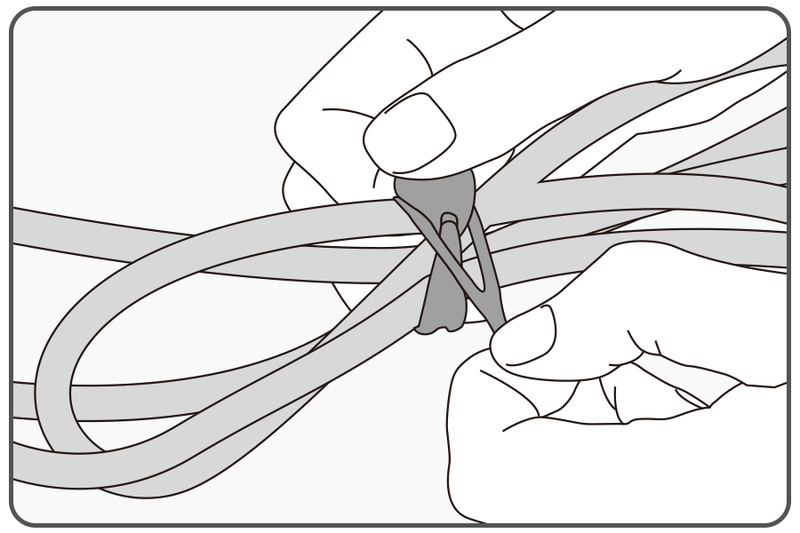 Finish by tying the thin end of the silicone cable tie to the bigger end with the holder. 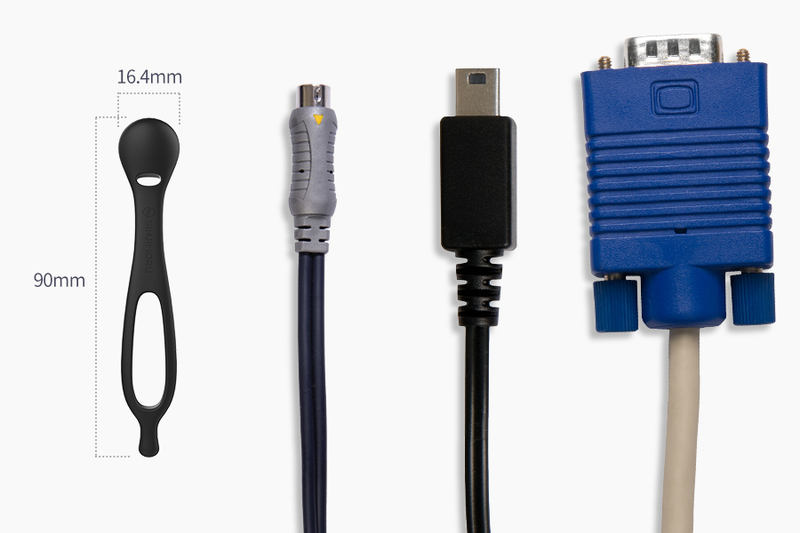 Can be used for cables that are 4-6 mm in thickness, like telephone cables, audio jack cables, or PC monitor cords. Can be used for cables that are 6-10 mm in thickness, like power cables or multi tap cables. 6 pack: 3 XXL size Ghost Cable Ties in (1 White, 1 Black, 1 Red), 3 XL size Ghost Cable Ties (1 White, 1 Black, 1 Red), 1 product manual.